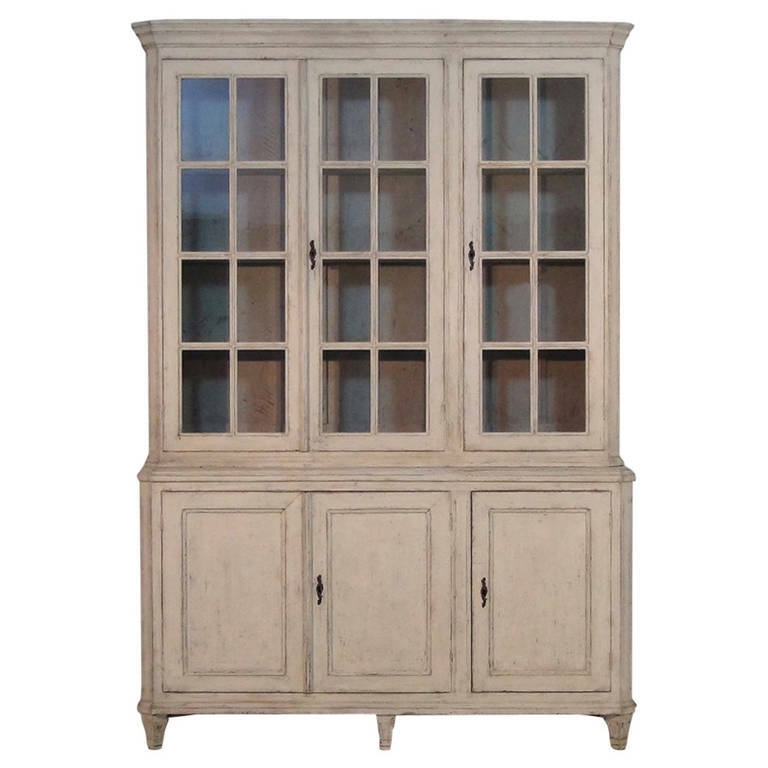 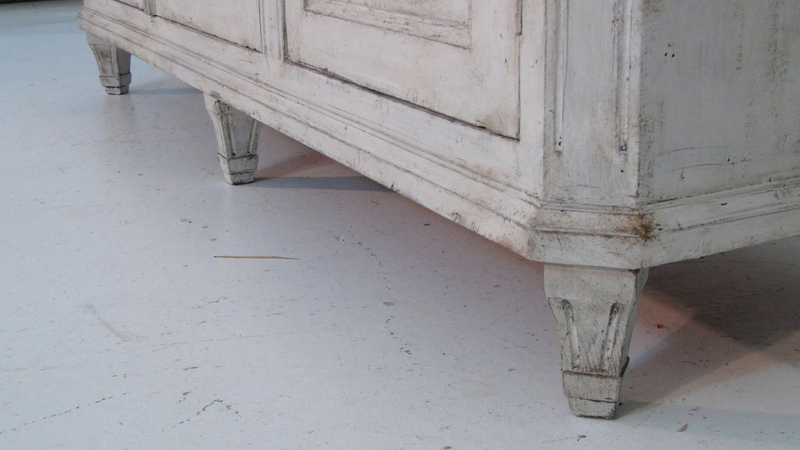 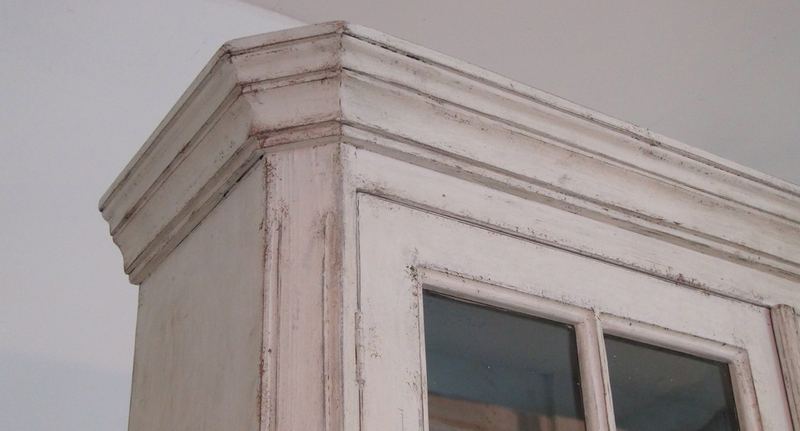 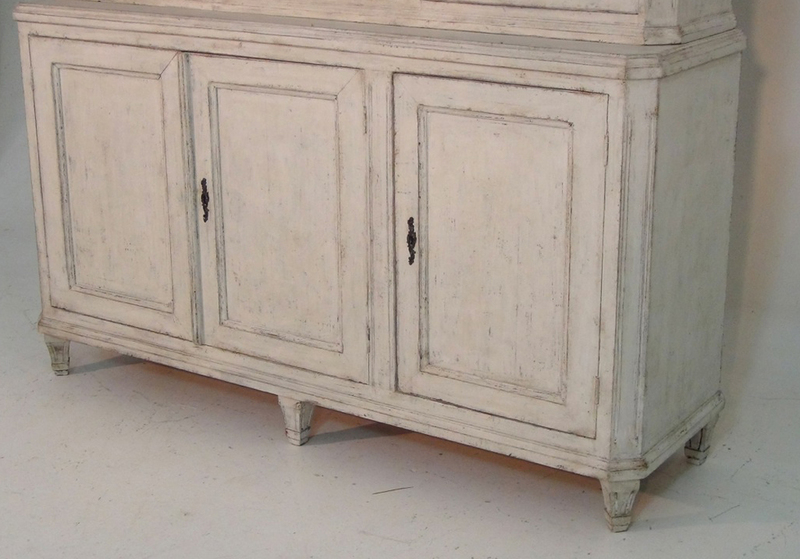 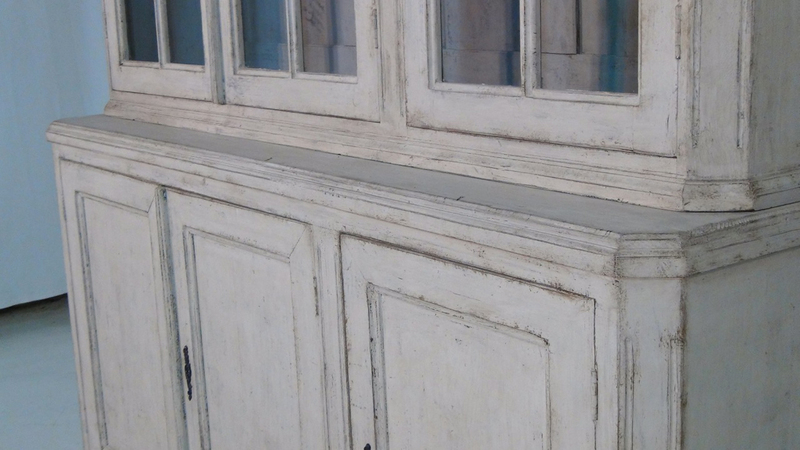 Swedish Gustavian Period Vitrine Cabinet | Maison & Co. 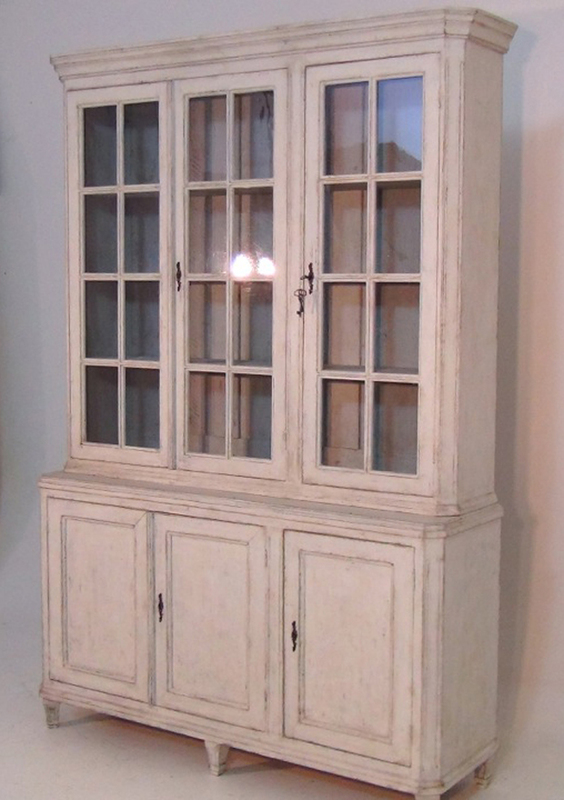 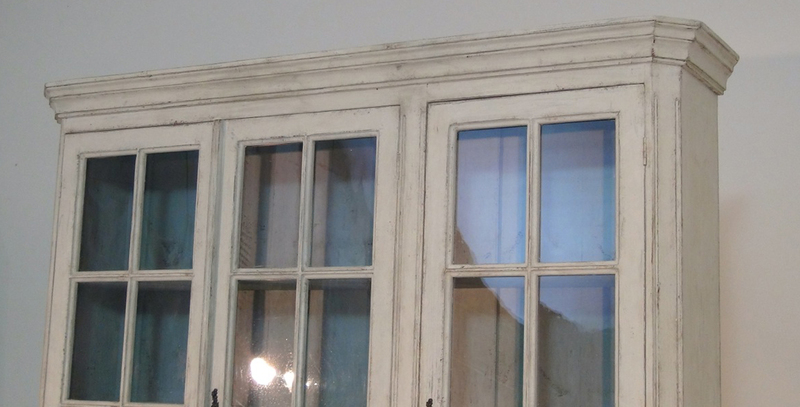 Exceptional, rare period Gustavian vitrine cabinet with three shelves in the upper section behind three doors with original glass. 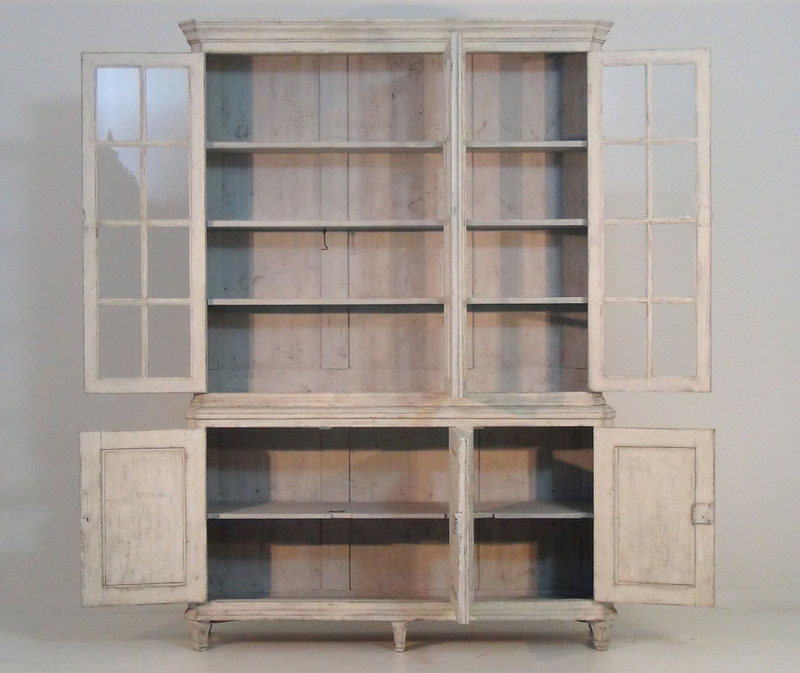 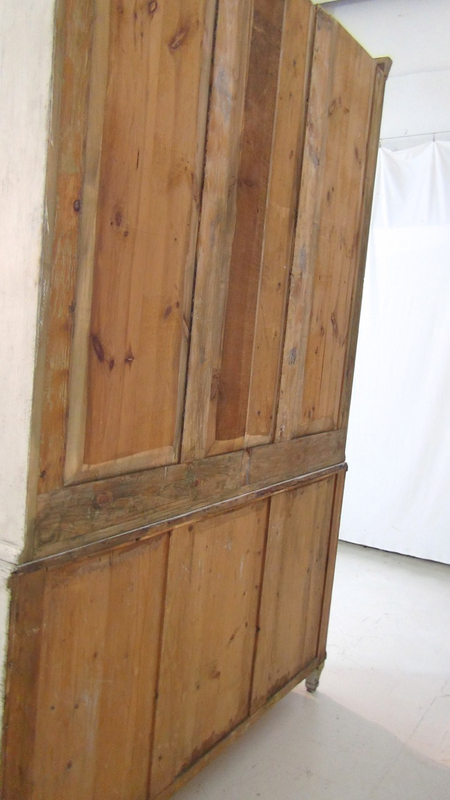 The separate lower section has three doors with a single shelf inside. 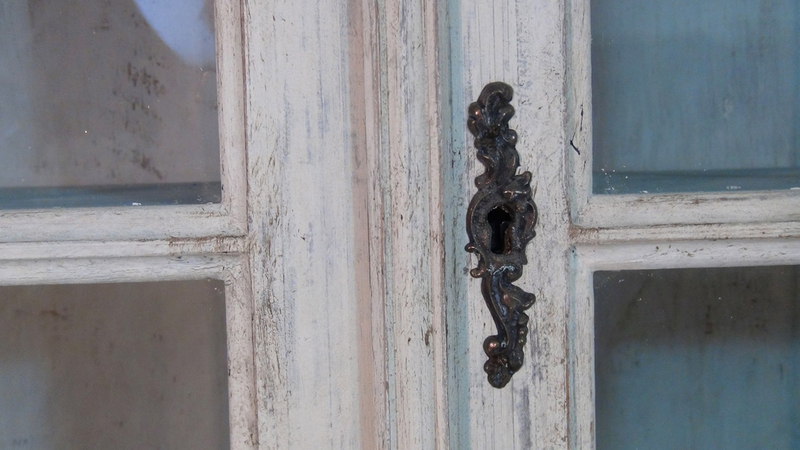 Sweden, circa 1810.